Formula One as a sport is as much a prototype as the cars that are driven, with regulation fluidity driven by political motivations, making it difficult for the smaller teams to make their way up the ladder. The arrival of Liberty Media as owner of the sports commercial rights could not have come at a more pivotal point, with the bi-lateral agreements made between the FIA, FOM and the teams due to run out in 2020. However, whilst they can make inroads on some of the commercial parts of the sport, having fallen behind and distanced itself from the fanbase, where it has a much larger task is righting the ship and steering it toward a brighter future. The biggest problem that Formula One has is that everyone wants something different from it, leading to compromises, as several entities pull it in different directions. From a strategic point of view it's easy to understand why we've got to this position, even if everyone believed that Bernie ran F1 with an ironfist he had to make the odd deal with the devil in order to get things done. One of those deals was the Strategy Group, made up of representatives from the FIA, FOM, Mercedes, Red Bull, Ferrari, Williams and McLaren with a final team included based on the final position of the previous years championship. The problem immediately becomes apparent with any decisions about the sport being talked about and voted on by only six of the teams participating in the championship, leaving the rest unable to voice their opinion. 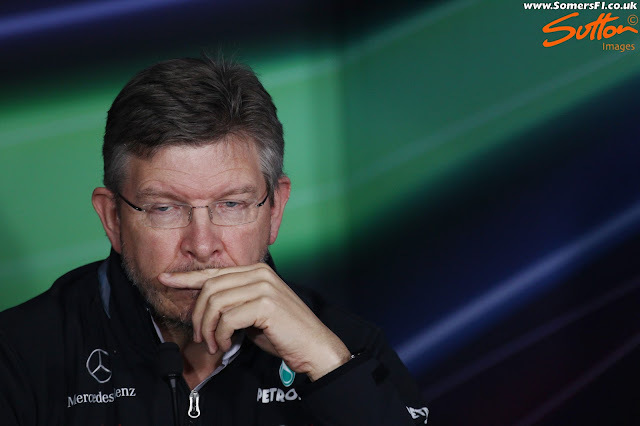 Not quite, the first few years of Ross Brawn's involvement in shaping the technical and sporting direction could be frustrating, as he'll simply be allowed a seat at the table, offering his and FOM's opinion on the direction the sport should take. That's right he's going to go to these strategy group meetings and be drawn into the political battlefield once more, as he has to go toe-to-toe with the warring factions. This will undoubtedly be a source of frustration for him but it's a means to end, the Strategy Group may be inept but it's part of the agreement that Bernie struck with teams in the last round of contract negotiations and will be in place until 2020. However, Liberty's arrival couldn't be more timely given those negotiations will have to start again soon as everyone will be vieing for a bigger slice of the pie. I've been banging a drum for several years on how a technical and sporting working group must be used in order to guide the sport going forward. Rather than taking a singular often political view on topics the group must be allowed to investigate and develop ideas before they are put into practice, something that the sport has never really done on a serious level. The last time something like this was tried was on the lead up to 2009 when a group of senior team personnel devised ways in which to reduce the aerodynamic wake being created by a car so that another chasing it could get in a position to overtake. Sadly it wasn't a well funded exercise and the group was disbanded soon afterwards in the wake of infighting amongst the teams over the various solutions that began to crop up, such as the double diffusers. There are two sides to every story and the 2017 regulations looked to help satisfy the purist - lowering lap times, making the cars more difficult to drive and giving the cars a more aggressive stance. It's not enough though with complaints still rife in regard to the sound generated by the powerunits and how this apparently has a major impact on the experience of watching Formula One. On the other side of the coin we don't have any idea what consequences the regulations have in terms of keeping the racing close or how going back to V8, V10 or God forbid a V12 would affect the engine manufacturers who support the formula. Formula One satisfies many needs, as whilst it's a sport it's also about packaging it as a source of entertainment, otherwise it's feared that you could lose the global fanbase that it has attracted. The opportunity to have their wears in front of this global audience also attracts significant investment from a huge collection of associated industries such as the engine manufacturers. 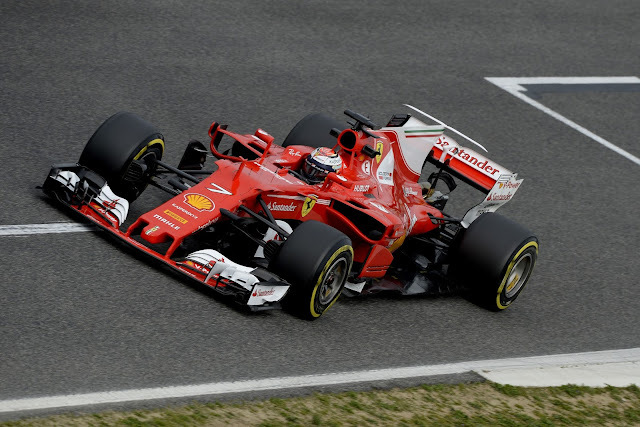 Now, whilst Ferrari could perhaps get onboard with a return to a large capacity naturally aspirated motor this might not be the case for the likes of Renault, Honda or even Mercedes as their primary objective is to show their skills as powertrain builders in a motorsport environment to help sell road cars. There has to be some kind of crossover at this high level in order to show the consumer just how all that money being spent filters down to the road cars of tomorrow. You might argue that we'll never get the near on 1000bhp powerunits in our road cars but that isn't the point, it's about these manufacturers proving they can mix it at the highest level and that's why you should buy a roadcar from them. It's also about R&D - the trickle down of cutting edge technology that the consumer will see the benefit of in years to come, with turbo-compounding as part of a wider hybrid system likely making it to the forecourt in the next few years and battery technology being used in Formula One also scaling too. That's not to say what was introduced in 2014 wasn't too ambitious but that's what Formula One should be about - the pinnacle of technology, or should it? That's where we come down to a cost issue, as the smaller teams on the grid struggle to fund such extravagances. The easy way around that is to have a supply ceiling, something this years regulations have started to address but perhaps too late to make a difference to numerous teams who've slid several snakes down the board whilst the works teams have been climbing the ladders. I've made my case for the directions I'd like to see taken before but I think there is a way to satisfy numerous arguments and that is to allow diversification, rather than place a huge stranglehold on the teams and manufacturers. Why not have parametric regulations where numerous solutions co-exist, it's something that's happened in the sport before (3500cc naturally aspirated engine vs 1500cc supercharged engines) and it would help the smaller teams stay viable in the short term due to a reduction in costs, whilst also appeasing those who miss a good old ear bashing from a whaling V8. Personally I'd like to see a study done on this, along with the option of being able to run the race on a single tank of fuel or have optional in race refuelling return, as weight is currently a massive blight on the sport and one of the main reasons so much downforce was handed back to the designers for 2017. The change in regulations for 2009 were originally intended to bring the field closer together and improve the amount of wheel-to-wheel action, with the wake generated by the cars predecessors considered a major obstacle in getting cars close to one another. The complaints by fans ever since have revolved around two things - front wing complexity and DRS, the first of which is like an old wives tale passed down and taken as gospel just because. Now, I'm not going to sit here and say that front wings aren't overtly complex but you have to consider why rather than just make that statement and yes, yes I know some of you're going to say well the regulations could just make them a two plane element etc and so they could but, they're that complex for a reason - tyre wake. This is a CFD plot of the Indycar DW12 - on the left was the pre 2015 Dallara aero kit, on the right Chevrolet's development kit, you'll note from the pressure distribution on the tyre just what they're trying to achieve having been given more scope. The wake generated by the rotation and deformation of the front tyre is a complex animal but one that the teams work hard to manage. Each of them have their own design goals in order to reduce the amount of drag being generated but also how much the wake impacts the rest of the car, as shaping it can improve overall downforce and/or activate another surface. The problem, as we know, is that when the wing is robbed of clean air (ie when in the wake of another car) its performance is compromised, lowering total downforce and increasing drag, the total opposite of what the driver needs to get in behind, then alongside his counterpart and race wheel-to-wheel. The last OWG (Overtaking Working Group) attempted to overcome this problem with a moveable flap, enabling the driver to make an adjustment of up to 6 degrees, twice per lap. It was a resounding failure, no-one questioned why, likely because the Double-Deck Diffusers used in that era changed the game but surely it is something worth reconsidering? I'm not simply suggesting a rehash of what went before though, perhaps investigating the entire premise is more likely what is needed. For example - what happens if the entire wing is pushed forward on the pylon mounts during an overtake, displacing it from its usual co-ordinates ahead of the tyre?.. Or how about the whole wing be allowed to pivot down to adjust its angle of attack or the entire wing be lowered slightly to change its relationship with the ground, placing it into a more optimal ground effect position. Of course there are a huge number of options that could be looked at in order to resolve the wake problem, closely realigning the aerodynamic structures that exist when not in the wake of another car. Thinking of not only the issues faced by overtaking I'd also like to see if a solution can be found to utilise a specification active suspension. This would not only resolve many of the issues faced by the smaller teams that have to chase expensive solutions used by the larger teams it could also have aerodynamic benefits, allowing the teams to more accurately control the aerodynamic platform and perhaps even be used as a way of replacing DRS as pitch and/or heave conditions could be mastered to follow rules dictated by how close cars are running to one another. Ross has already highlighted DRS as one solution he is keen to investigate and whilst I understand that from a purity point of view the sport must be rid of it, from a spectacle point of view it may need to stay or least be revised. For example, I'm not a huge fan of the criteria for its use, personally I think the reason it feels contrived to the fanbase is that it has rigid usage - must be 1 second behind the lead car and can only be used in specific zones. Personally I'd like to see a time or number of uses component per lap/race used instead as that way it becomes a strategic battle between the drivers as they can deploy it for attack of defence if they have any deployment left. Currently DRS passes, seem like a gift, I'd like to see that changed. Formula One is oft too reactive, taking kneejerk decisions about something just because it didn't work as expected on the first attempt. Hopefully we don't have the same situation after the first race of 2017 as a swift change in any of the regulations is likely only a political manoeuvre that serves one party. Instead I'd like to see insightful R&D focused changes made in larger chunks that suit the sport and not those that partake in it, afterall no-one should be bigger than the sport itself.